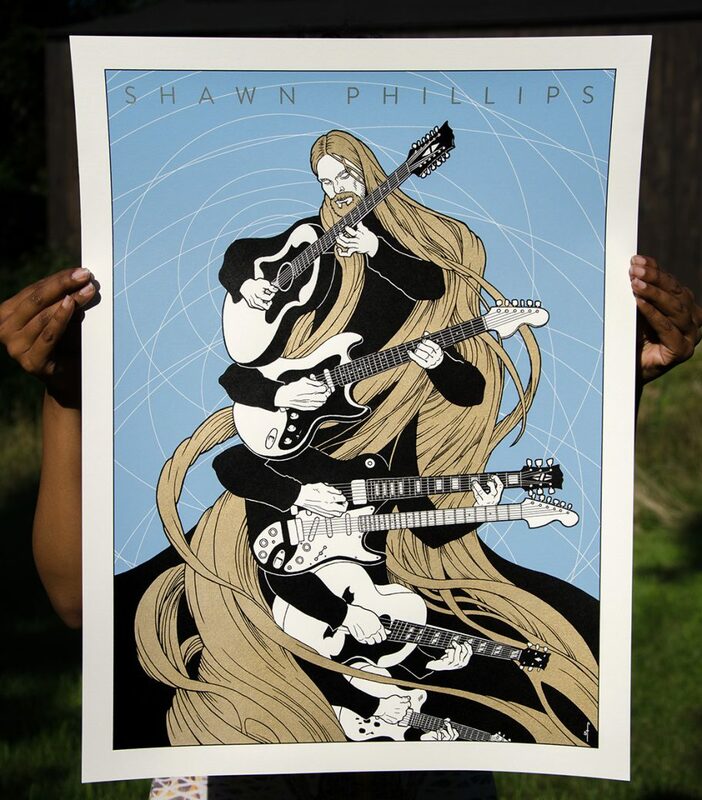 I recently designed this three-color screen printed poster for my namesake, Shawn Phillips. The guitars are based on his personal collection of instruments, and the design references the cover of Shawn’s 1970 album Second Contribution. The size is 18×24″ and the inks are black, cyan, and metallic gold.